MSN Property Channel goes live! We are proud to announce the launch of the MSN Property Channel available through www.msn.co.za. MSN (short for Microsoft Network) is a collection of Internet services provided by Microsoft. MSN.co.za is MSN's local portal and is South Africa's 3rd most visited website with nearly 1 million unique visitors a month. The website is well connected to all Microsoft services including Windows Messenger (instant messaging client) with direct links from Microsoft's own website and all the MSN International websites. After being selected as MSN's exclusive property channel partner, Entegral has completed the implementation of the new channel in record time. The launch comes only a week after the launch of another property portal, www.realestate.co.za, which is one of South Africa's most prominent internet domain names. The MSN Property channel features integrated property listings and the latest property news to South African and International visitors. Properties loaded through the MyProperty website, are automatically and immediately available on MSN Property. Time to market is critical for estate agents in the highly competitive South African real estate industry. A property can be sold within minutes after being loaded on the Internet. 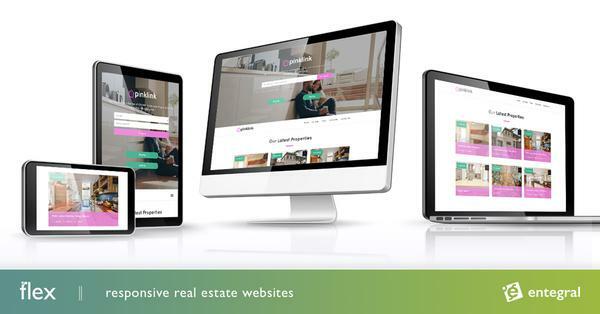 Entegral now provides estate agents with direct advertising on four property portals: MyProperty South Africa, MyProperty Namibia, RealEstate.co.za and MSN Property. Interfaces to national franchise group websites also ensure that property listings are available on the agents own website. The end result is a highly effective internet marketing package. In fact, due to the wide reach of MSN, we believe that MSN Property in combination with the traffic generated by MyProperty, will provide estate agents with South Africa's most effective internet advertising solution. Entegral is at the forefront of real estate internet technology and we are excited about the short and long term goals set out by the company. MSN is a big feather in our cap. This achievement will be complimented with more exciting product launches throughout the year.